Downtown Rochester is transforming in major ways with development projects, new restaurants, and business openings. To go along with all of this, Jenna Knauf (Bella Events Group), photographer Kelli Marsh, and Sean McCarthy (McCarthy Tents & Events) have teamed up to produce the first ever City of Rochester ROC Holiday Village presented by Five Star Bank. Whether you’re 2 or 102, this village is for YOU and it’s not just a one-time, weekend pop-up - it’s EVERY weekend leading up to Christmas: December 1st through the 23rd. There will be different restaurants every weekend, music, igloos that can be reserved, shopping, and so much more. With so many different activities happening, we wanted to highlight all of the FREE things you won’t want to miss. Every year, the City of Rochester kicks off the holiday season with the annual Lighting of the Liberty Pole festivities with Santa and his helpers. Following the lighting this year, everyone is invited to join Santa in a parade to Holiday Village for the Grand Opening of the Village and tree lighting (opening night details). Come meet Santa and have your picture taken and even have that picture emailed to you for free. For a nominal fee photos can be printed on the spot as well with a portion of the proceeds going to IACKids. There will even be free cookies courtesy of Wegmans. Head to the website to see Santa’s Workshop hours. 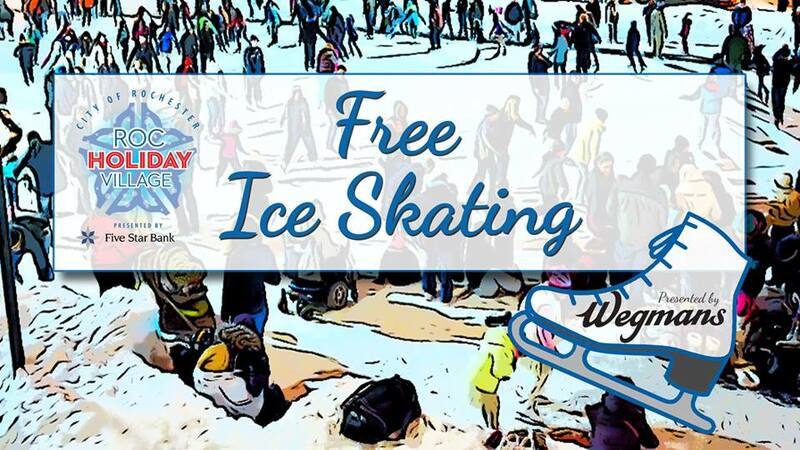 During all of the Holiday Village hours, ice skating and skate rentals are free! Skates are limited though, so if you have your own, it’d be a good idea to bring them. Even if you don’t want to ice skate check out the Holiday Village Schedule for opportunities to see performances by Genesee Figure Skating Club and Rochester Ice Center on December 2nd, 15th, 22nd and 23rd. 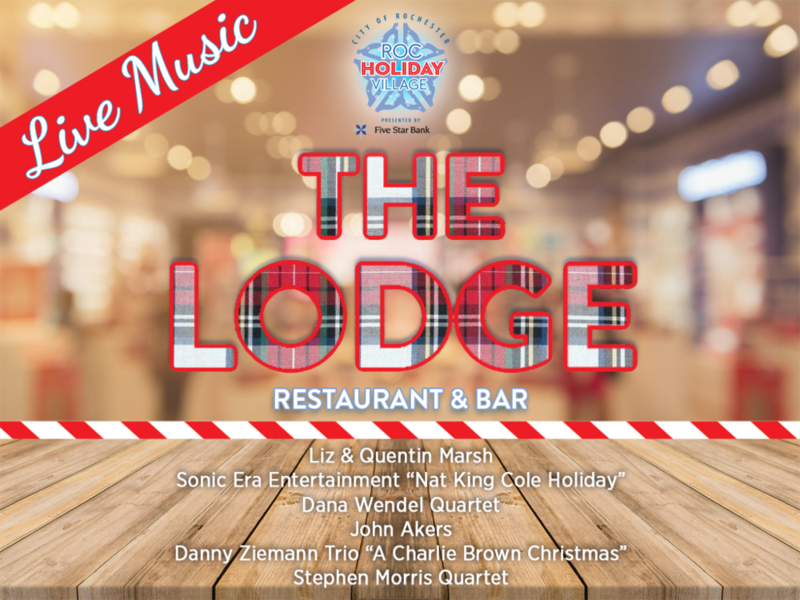 Enjoy different musicians every Friday and Saturday evening from 8-11pm in the Lodge Restaurant and Bar. See the schedule of who’s playing here. Whether you’re a fan of curling during the Olympics, have always wanted to learn, or are just curious about the sport, don’t miss the free curling demonstration and instruction on Saturday December 15th from 11am-3pm. Learn the lingo, watch a demonstration, and get to try it for free. Yes, we know there’s gonna be at least one person out there who is concerned about parking. But as the producers of the annual Movies with a Downtown View events in the same location, we know there’s quite a bit of on-street parking surrounding this park. Better yet, it’s free after 6pm on weekdays and ENTIRELY FREE on weekends. We also know that some of the area’s parking garages are free on the weekends IF there aren’t Special Events that are happening (i.e., Washington Square Garage). 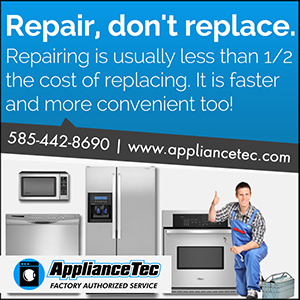 It makes sense to call ahead to see if a particular garage is open and free so you can plan ahead. Get your holiday shopping done this year in the Village! Peruse the retail vendors, food vendors, the Holiday Village merchandise tent and the Mini Maker Markets on December 8th and 15th. See the list and schedule: Holiday Village Shopping. Don’t miss a post, sign up here for our WEEKLY email to get the BEST/QUIRKY/FUNNY/COOLEST (etc.) things to do in our city! And don't forget to follow along on Facebook, Instagram, and Twitter.